Home » Bugs and Technical Issue , Contact , Guide » Marvel Avengers Alliance:How do I contact Playdom Support? There are many bug and technical issue that we can not solve. One of the most annoying staff is page refresh error. I think everyone has faced this problem. So we need to contact with playdom. I think every should keep every important moment screen shot (Ex:when buying a new hero). 2. Then click the 'Log In to Ask a Question' button at the top right corner of the site. Please Note: You will not be able to contact support until you create and log in to a Playdom.com account. 3. Once you are logged in, click on the 'Support' button in the banner at the very top of the site, click once again on the 'Log In to Ask a Question' button at the top right corner, and then you will see a Help box appear at the bottom right side of the page. 4. Click on the 'Submit Request' button in this box to bring up the support ticket form. 5. Fill out all the information requested and submit your ticket. 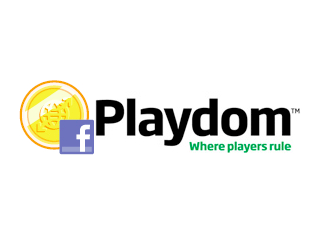 You should receive a reply from one of playdom representatives within 72 hours. nao tou consiguindo enviar porque ? faz um tempão que nao consigo , gostaria de saber ? nao tou consiguindo enviarconvite de aliado porque ? FAZ UM tempão Que nao Consigo, gostaria de saber? What happened i got 3981/4000 xp and i played pvp to get extra xp and also to complete win 7 pvp quest, i just need only one win to complete 7/7 pvp and when i got my last win and return to flight deck to complete the mission,suddenly my browser refreshed and when it came back i lost my 7 Gold and supposed to be i get level up but that;s not what happened i lost my 7 gold and instead of level up i lost 30 xp and my pvp quest goes back to 0/7..what happened? I resumed spec op: 9 and i don't have any red iso. . It shows 0 iso . . how can i do it?? Playdom support seems like already stop working. I wrote several letter just want some games designers help me solve simple problems. But already a week pass, never gave me a word. Please check for me. simple problem of game play marvel avengers facebook version about " I can't research the shepherd's Staff "
Ich habe alle Kryptischen Quests abgschlossen und die Kryptischen Essenz erforscht aber das Siegel nicht bekommen.Kann mir da jemand helfen? i have lost the iron patriot costume for war mashine please help!!!! I hope playdom will give me chance to buy synthetic cube.I want that weapon. OP SPE 27 i'm waiting for GreenGoblin at the end of Mission 3. It's after SinisterSix battle, so there is nothing but Exit... so how to meet the Epic Final Boss to complete task 24/25...? Eu comprei a mandíbula por 64 gold eu estava com 250 gold comprei falou para reiniciar ai reiniciei eu tava com 0 gold e sem a mandíbula quero meus gold de volta play dom ou coloco vocês no tribunal ai vamos resolver do jeito difícil!!!. how can i remove shield alart?